Durable, long-lasting, waterproof vinyl decking is a must in BC’s Tri Cities of Coquitlam, Port Coquitlam, and Port Moody. Nestled up against the Pacific Coast Mountains, this area of the Lower Mainland gets an exceptional amount of rainfall each year. As an Authorized Tufdek™ vinyl decking dealer and installer, and among the top sundeck installation companies in the area, we work with all types of customers including homeowners, builders, property managers, and architects. “I am a small contractor who provides high quality renovations to my customers. They’ve worked on all my vinyl sundecks for 20 years and have consistently given me a professional product with great advice, accurate pricing, and very good decks…and always on schedule. I recommend this company whole heartedly.” – John P.
We’re sure that you too will love all the benefits of our Tufdek™ vinyl decking products, which include wear resistant, and stain resistant UV protection. They are also very easy to clean thanks to Tufdek’s robust Aqueous Based Inks and Polycarbonate Top Finish. 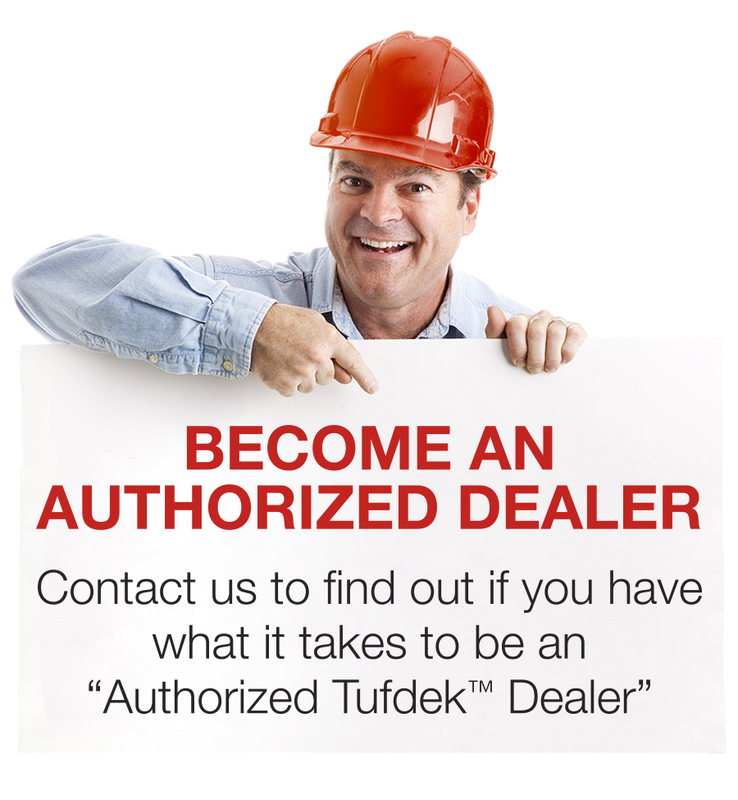 All of our deck installers are fully insured, certified, and factory trained by Tufdek™ themselves. At the end of the day, the comprehensive product warranty offered by Tuff Industries will give you peace of mind. In addition to Tufdek™ vinyl deck membranes, we also specialize in the deck construction and repair, custom built aluminum and wood railings, and patio covers. We are accredited by the BBB and Shell Busey’s House Smart Network and, we are also a member of the Greater Vancouver Home Builders’ Association. Contact us first if you live in or around the Port Coquitlam area and think it’s finally time to build your dream deck, or if you are tired of looking out at your old worn out vinyl decking! It’s all about the details. We’d be happy to explain how the Tufdek™ waterproof vinyl decking system works. Let us provide you with a no obligation, complimentary cost estimate to resurface your deck at home or at your business. For more information about how we, as an authorized Tufdek™ dealer, can help you enjoy the benefits of Tufdek waterproof vinyl decking products, please call us at 1-877-860-9333 or complete the following contact us form.